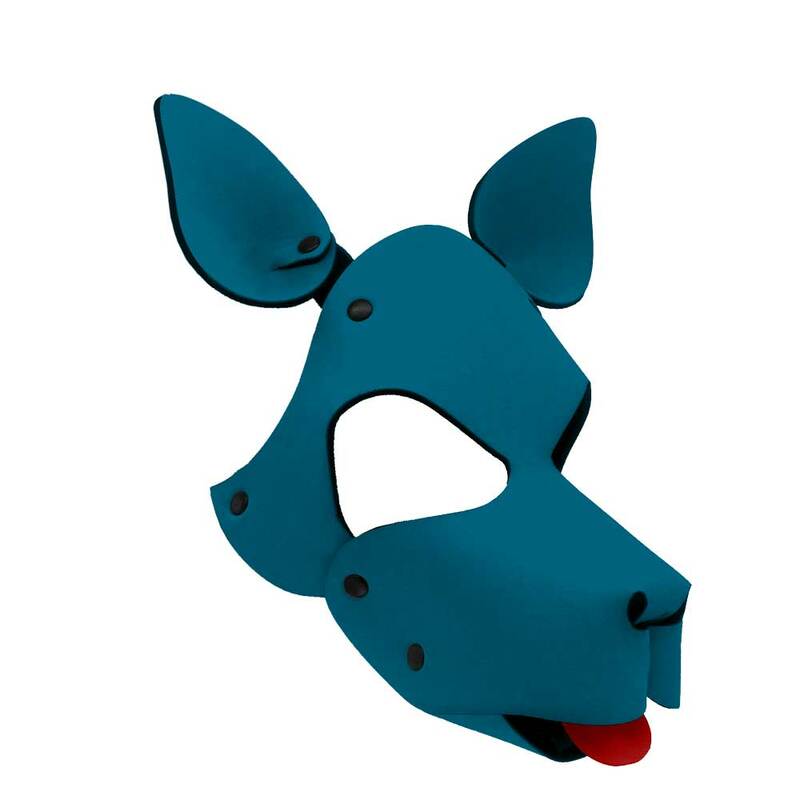 Single colour pup hood in any (printable) colour. This genuine Wruff Stuff hand-crafted pup hood is made from neoprene, it's lightweight, breathable, comfortable to wear and machine-washable. Hoods have adjustable straps to fit. All hoods are latex-free. Let us know which single colour you would like . In November 2015 the creator of Wruff Stuff, known to most in the pup scene as Mister Nigel, was looking for a hood for a puppy friend. Being a creative type he didn't want just a black hood, and being a problem-solver he went about creating his own. Eventually, having spent some free time working on a shape and sourcing materials, a hood was born. It was made of neoprene and vinyl, and was pretty... pretty. But not pretty enough. He wanted to try something no-one had done before, and create a fully printed hood. He and some friends realised that it was something unique, something awesome, and something that other pups might want. There was some road-testing done and the hoods went on sale. Where they are now ? Wruff Stuff, coined a "designer label" by some in the industry, is fully functional, producing hoods for puppies all over the world. We're still a small team based mostly in Manchester (UK), and there's a long way to go yet, but it works, and pups love our hoods. About Wruff Stuff Hoods Physical attributes: Wruff Stuff hoods are printed in full glorious colour onto a neoprene/jersey fabric and then lovingly hand-made. Hoods come in one size with adjustable webbing straps. They are machine washable. Standard vs customised prints A standard hood has set colours, a customised hood uses colours that the customer chooses. Standard hoods are off-the-shelf prints that have a pre-set colour scheme. All hoods are available as standard. Customised hoods has a scheme set by the customer. Most hoods can be customised. CHOOSE YOUR HOOD DESIGN FROM THE IMAGES from this Introductory range or the more colourful range.